Research focus: Tropical climate phenomena (MJO, IOZDM, ENSO, Asian Monsoon), Air-sea interactions, Ocean surface mixed layer processes, Climate-ice sheet interactions, Tropical -high latitude exchange. 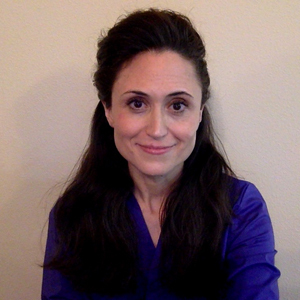 Daria Halkides received her PhD in Astrophysical, Planetary & Atmospheric Sciences with an emphasis in Atmospheric and Oceanic Dynamics from the University of Colorado (CU) in 2005. Her graduate work focused on tropical air-sea interactions linked to the evolution and life cycle of Indian Ocean Zonal/Dipole Mode (IOZDM) events, and on multi-scale climate impacts on Asian-Australian Monsoon rainfall variability and distribution. She also completed an Interdisciplinary Graduate Certificate in Environmental Policy (Masters equivalent) while at CU. She completed a Caltech Postdoctoral Fellowship at the Jet Propulsion Laboratory (JPL) in Pasadena, CA, in 2009, then remained at JPL as a contract researcher employed by University of California at Los Angeles (UCLA)/JPL Joint Institute For Regional Earth System Science and Engineering (JIFRESSE), until joining ESR in 2015. Her current research interests range from ocean surface mixed-layer processes and air-sea interactions, to low latitude- high latitude exchange and climate impacts on the polar ice sheets. She also has strong interests in social policy and education, having participated in a variety of outreach programs over the years and taught Astronomy, Geology, Geographic Information Systems and Earth System Science at the undergraduate level.